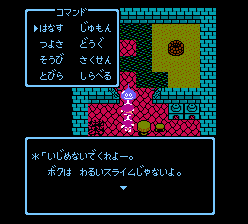 The phrase warui slime janai yo, or rather, warui suraimu janai yo 悪いスライムじゃないよ, meaning "[I'm] not a bad slime," comes from the RPG series Dragon Quest: it's a catch-phrase used used by NPC slimes to tell the player they aren't going to fight him. I'm only posting about it because the phrase was recently used in that isekai slime anime. This was an obvious reference to the Dragon Quest series that may have escaped a lot of people that never played the game. 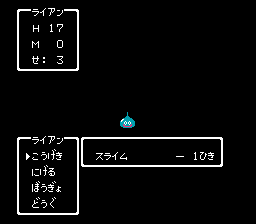 In case you didn't know about it, Dragon Quest was originally a classic Japanese RPG with random battles, and slimes were one of the first monsters you fought against. Although pretty weak, they were monsters, so they were your enemies. Starting with Dragon Quest IV, released on Nintendo in 1990, slimes could be found around towns and villages as NPCs, rather than just as enemies in random battles. Such slimes could be talked with, rather than fought against, and the catch-phrase was probably used to indicate they weren't going to fight the player like the other, bad slimes. They were good, peaceful slimes. Supposedly. 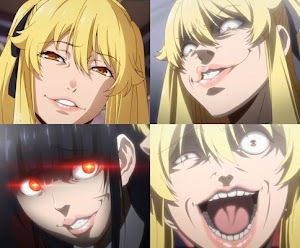 boku wa warui suraimu janai yo. I'm not a bad slime. To pick on. To bully. To be cruel to. Talk, spell (cast heal, etc.). Equipment, strategy (reorder party members). Door (opens a door adjacent to you), investigate (opens chests under you for some reason). And yes, you actually got THREE different commands—talk, door, investigate—to do stuff where a normal RPG would have only one command that does any of the three depending on what is in front of you. The brief window on the bottom right is the name of the characters, their HP and MP. Don't hurt me! I'm not a bad Slime! As you may suspect, using the adjective warui 悪い, "bad," before nouns that refer to people implies they're morally bad, just like in English. 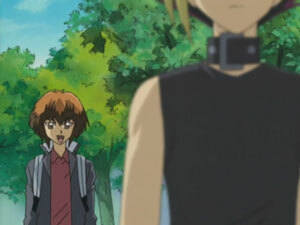 Normally, though, you'll see it in the form of warui hito 悪い人, "bad person," or warui yatsu 悪いヤツ, "bad guy." 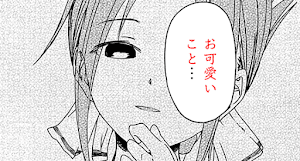 This warui suraimu phrase just follows the same format. 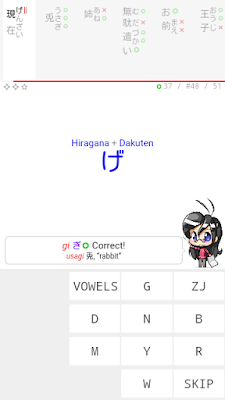 【ボク　わるいスライムじゃないよ。】 - wikiwiki.jp/dqdic3rd/, accessed 2019-01-21. Dragon Warrior IV Speeches - rulerofevil2k via gamefaqs.gamespot.com, accessed 2019-01-22. Source for official English translation. Note that it's full of spoilers, so only check it if you don't have absolutely any plans on ever playing Dragon Quest IV. Although, to be honest, I really don't recommend playing it, because it's a mind-boggling grind fest that will leave you wondering how did an entire generation of gamers survive the NES era without getting their brains fried. Seriously, you have to start from level 1 over and over? And sometimes you can't walk 10 steps without getting into 5 random battles? It's like there are zubats everywhere. EVERYWHERE. Just go toward a direction and keep pressing the same choice button incessantly, wishing all these stupid monsters die already so you can get out of the cave, or tower, or whatever. It really drives you insane. 0/10 I actually got a headache. It took 20 hours to get to chapter 4. I'm not even joking: the whole weekend. If that slime was on chapter 5 I would've actually given up before I got to see it. Go play Chrono Trigger or Terranigma or something on SNES instead. Don't touch NES RPGs. They're evil. 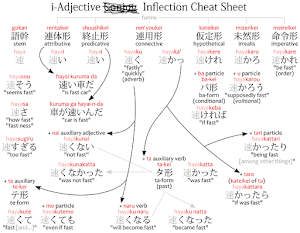 Thank you so much for your blog and posts about japanese! It is very helpful! I've just found it and for sure i'll coming back for more! Not the same anon but sharing the same feeling. Stumbled upon the Bocchan entry and the origin is superb. Do you exist somewhere else or only on the websites mentioned in the Follow section?